Are you the kind of woman that goes from mountain to mountain pose without missing a beat? If so, throw the 686 Smarty 3-in-1 Cargo Insulated Snowboard Pant in your ski bag and you'll be set for any activity the weekend brings your way. 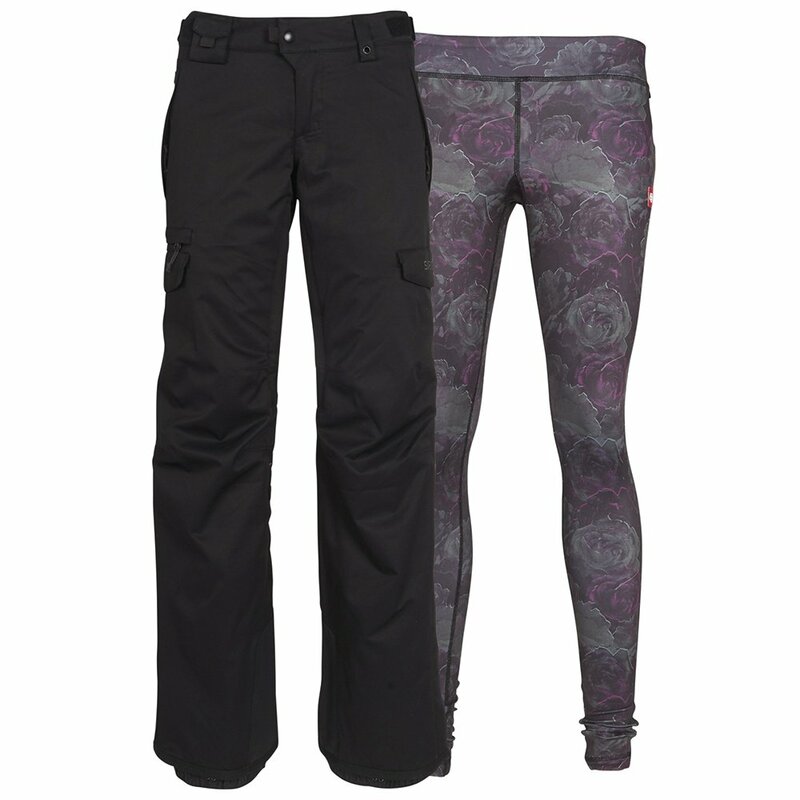 These women's cargo-style ski pants have an impressive 15K waterproofing rating for all but the stormiest and wettest of winter storms. Plus, they come with a removable, warm legging that you can wear under the shell for cold days or on its own for your sunset yoga class. With reinforced hems, inner leg vents, and a built-in pant-to-jacket connector system, the Smarty 3-in-1 is a versatile and winter-ready snowboard pant. An external waist pull and BOA-compatible gaiter make midmountain adjustments a breeze. An infiDRY® 15K fabric with DWR finish and fully taped seams make these extremely waterproof. Wear the outer layer on its own, inner legging on its own, or pair them together on chilly storm days.